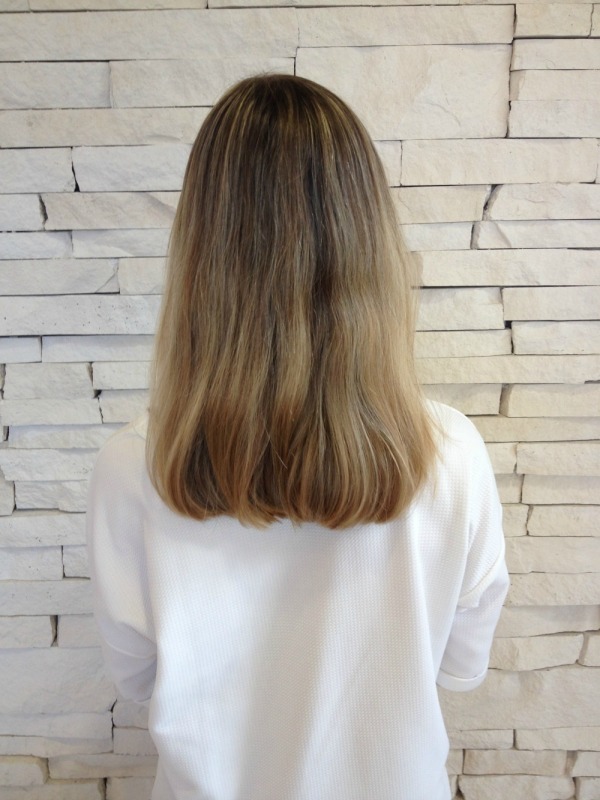 I have some hairstyle ideas for you today, courtesy of Jose Luis Salon here in my lovely city of Austin, that will have you calling your stylist today to hook you up! 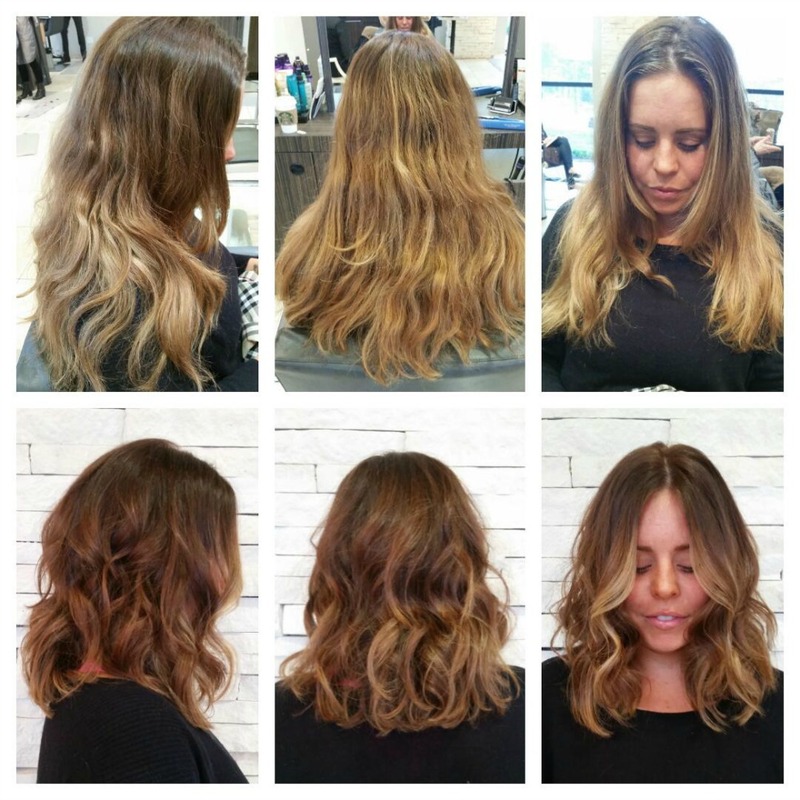 From bayalage and bobs, to a blonde going red – you will love these before and after pictures. 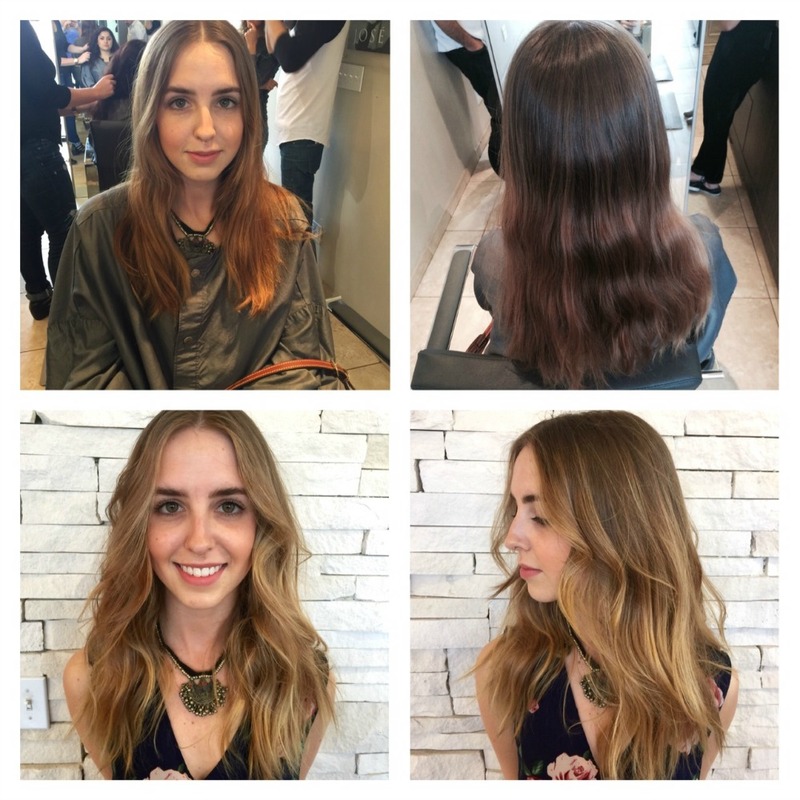 If you’re local and want a spring makeover like these ladies, give the Jose Luis Salon a call and get that hair appointment on the books asap. 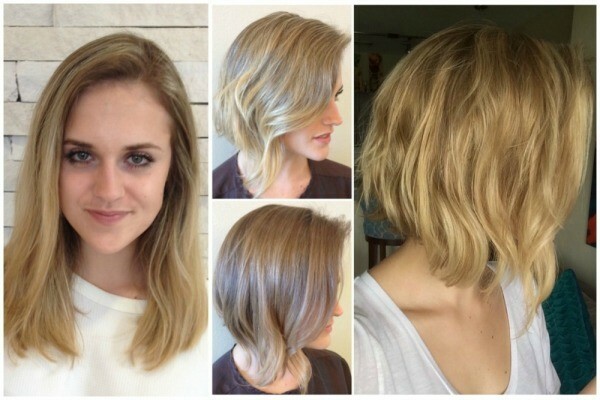 The bob is a big spring trend and I’ve seen it popping up on celebrities like crazy. The choppy bob is all about texture. 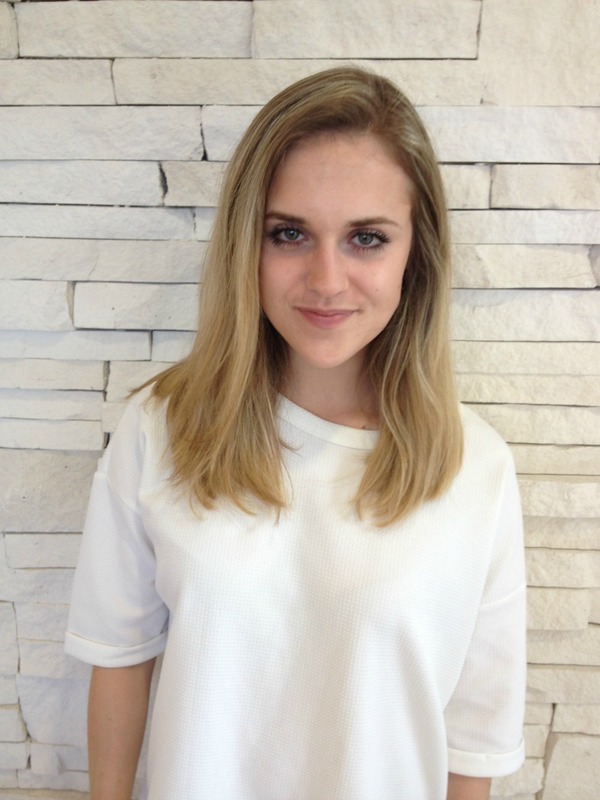 To get that look, spray Oribe Dry Texture throughout the hair to give it a messy texture. I love her new look, don’t you?! She looks so vibrant. Here are a couple more before pictures, as well as what she looked like right after. Here are a few more of her after, in that stunning purple dress. 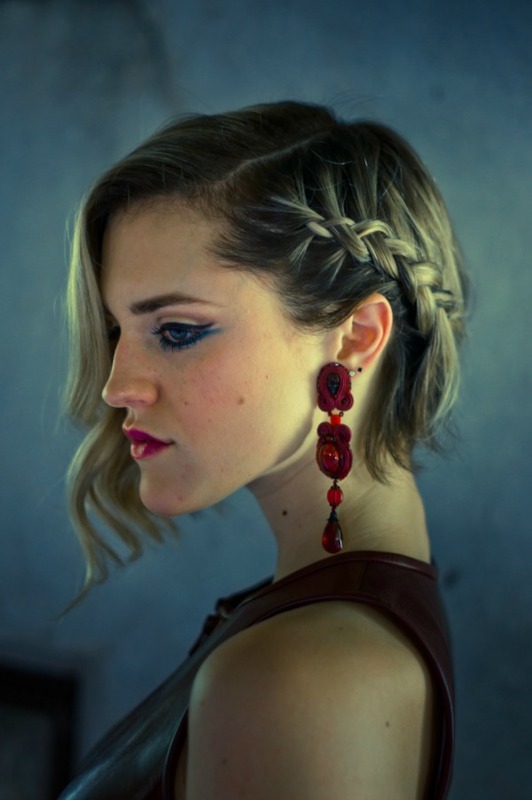 The side braid is a really great idea and something I am trying! A side braid, blue eye liner and strong brows are more spring trends to try. Are you ready for that bob now? 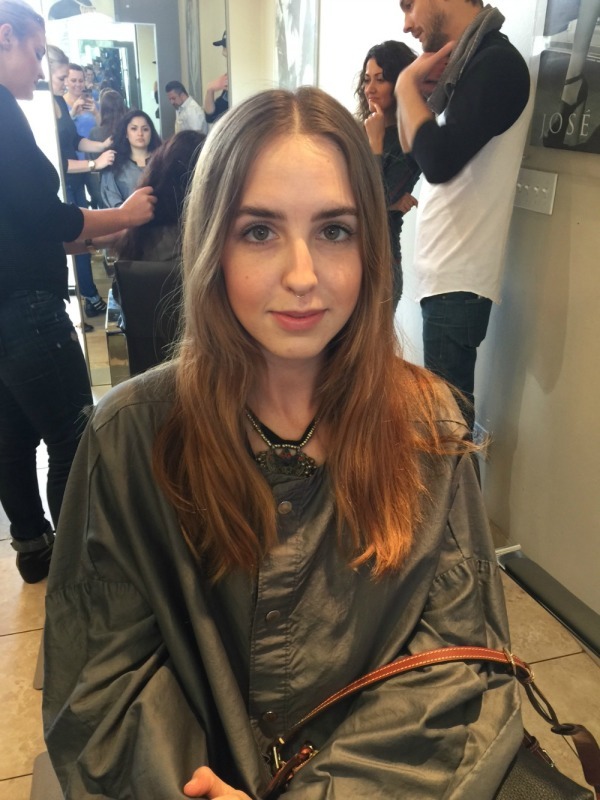 Next up, a subtle Balayage and Ombre Combo. Here are her before pictures…. It’s so subtle that it looks natural. Very pretty! 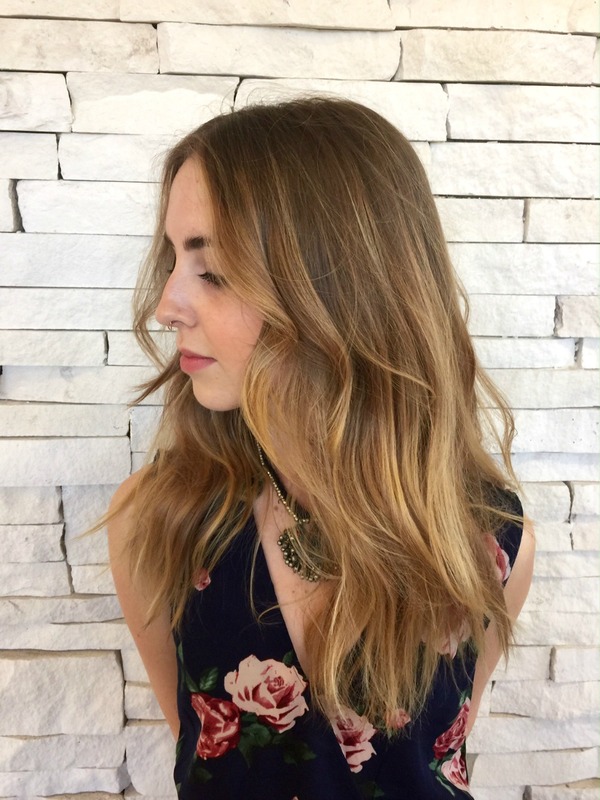 Subtle Balayage Ombre with Beachy Waves is another big spring trend. 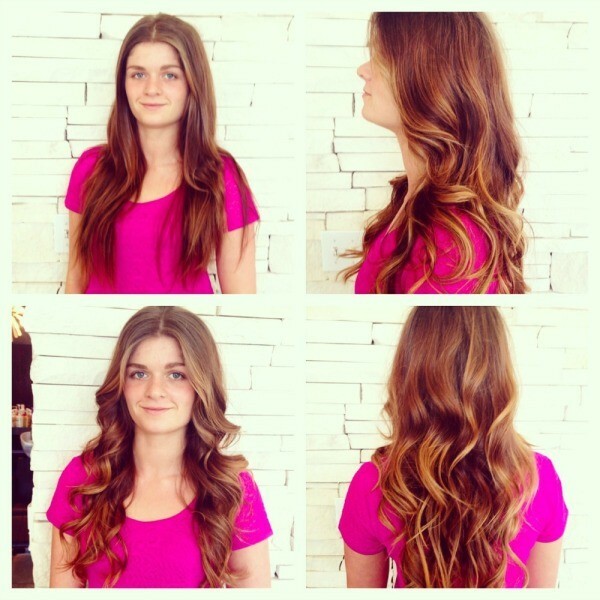 To get this look, use a 1 inch Wand Curling Iron and R+Co. Outerspace Hairsprary. Would you like more bayalage and ombre combo before and afters? Well you’re in luck, because I have quite a few more. 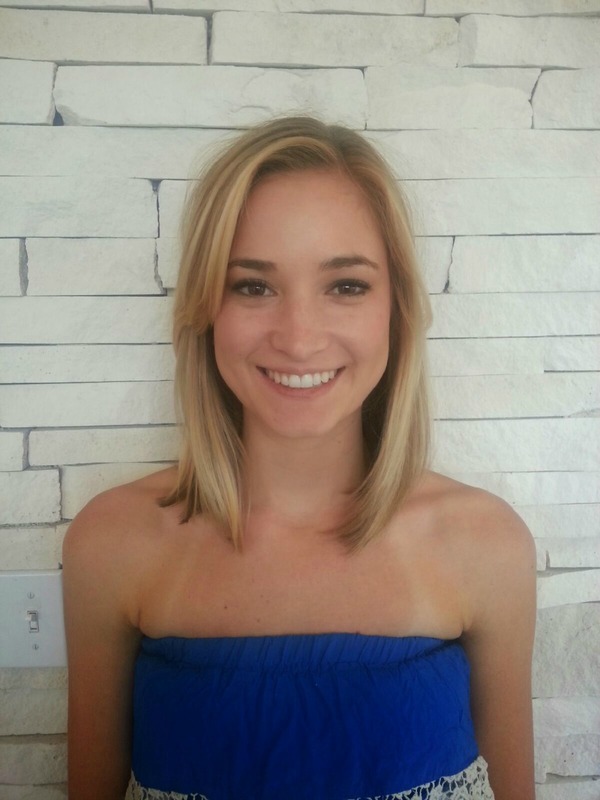 Here’s one with a mid-length cut. To get this look, use R+Co. Aircraft Pommade Mousse on dry hair to give the hair a wavy texture. 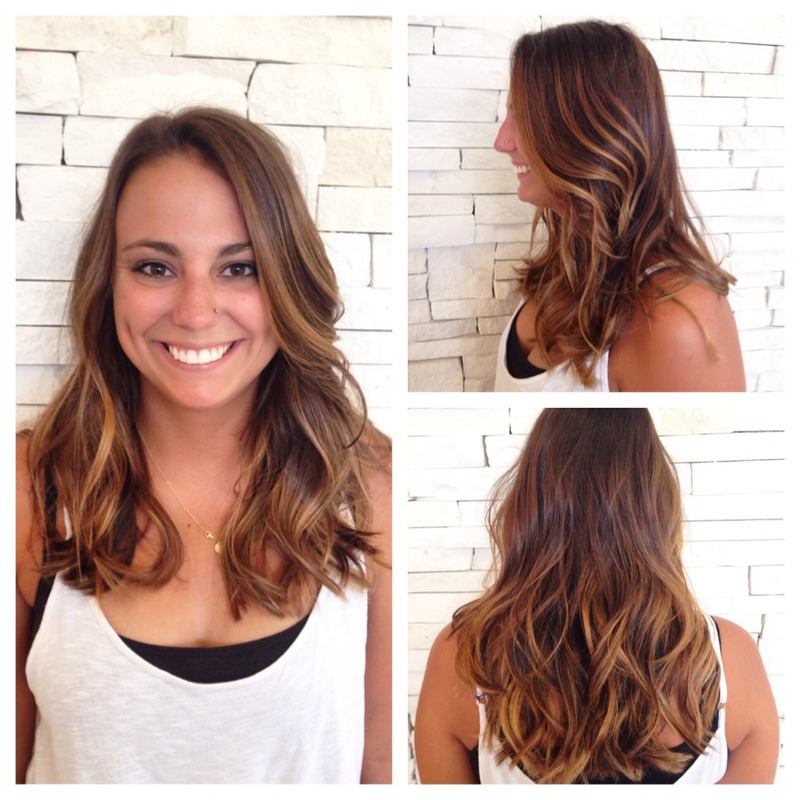 With Balayage Ombre, this color mimics the natural look of sun-kissed hair. 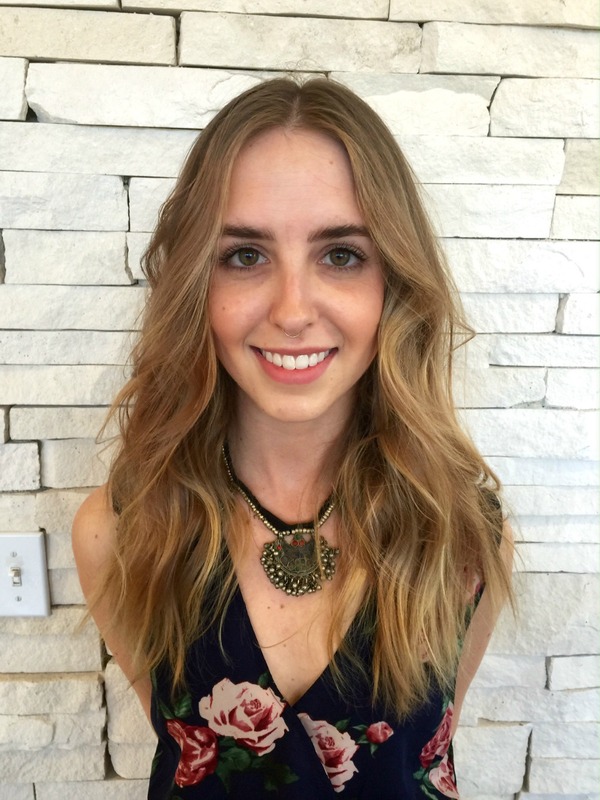 This low maintenance color trend also allows clients to go longer in between color appointments. Going longer between appointments sounds great to me! 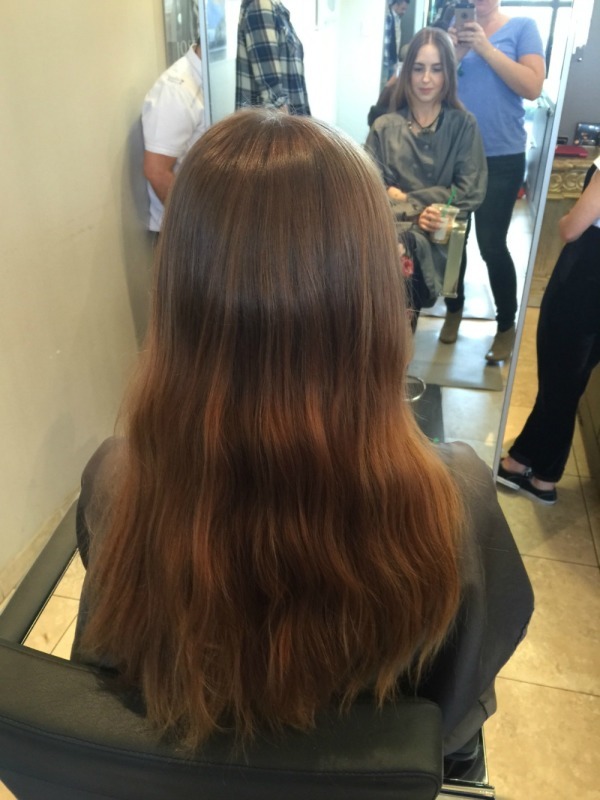 To create these big waves, use a 1 ½ inch curling iron and Kerastase Laque Couture Hairspray. Take 1-inch sections, and start curling the hair from the mid-shaft to the ends away from the face. Once all the hair is curled, use your finger to brush through the hair. 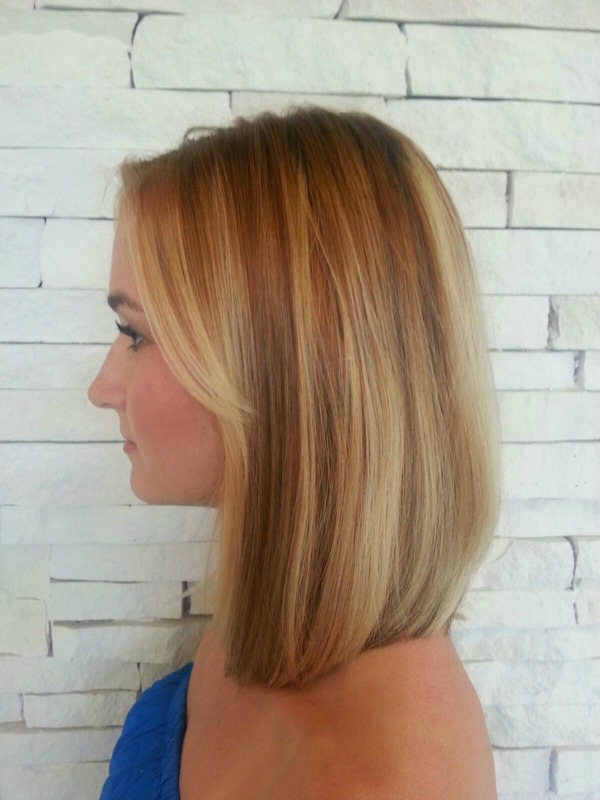 Get a beautiful blowout that gives your hair voluminous body that lasts a couple of days. Have you ever wanted to go from blonde to red? Here’s a stunning before and after that makes red hair very, very tempting. It looks like she was born with this hair color. It compliments her skin tone perfectly and she looks fierce and confident! Did you see any hairstyle ideas that caught your eye? Are you ready for a change? If yes, then go for it! 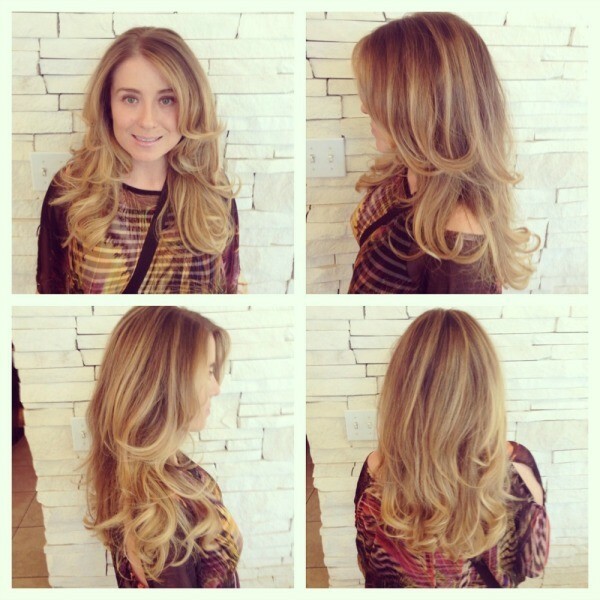 Thank you to Jose Luis Salon for the pictures, spring trends and hair tips.